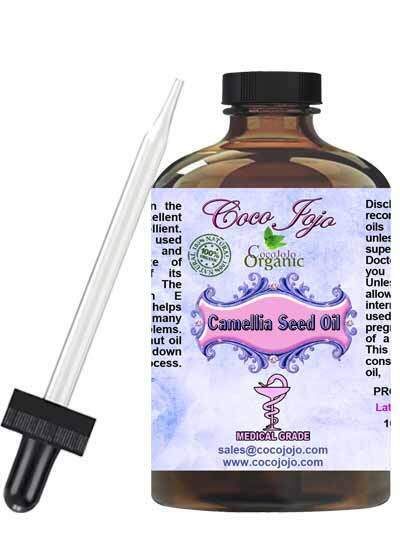 Camellia Seed Oil 100% Pure Unrefined Pharmaceutical Grade product is Unrefined, which means it is in the purest form that it can possibly be in. For Skin- Women in China confide in tea seed oil for many beauty applications. This oil is great for use in home-made topical application products. It is a nice moisturizer for the skin because of its exceptionally high oleic acid ( omega – 9 ) content. It is light and is quickly absorbed into the skin, much like olive oil. 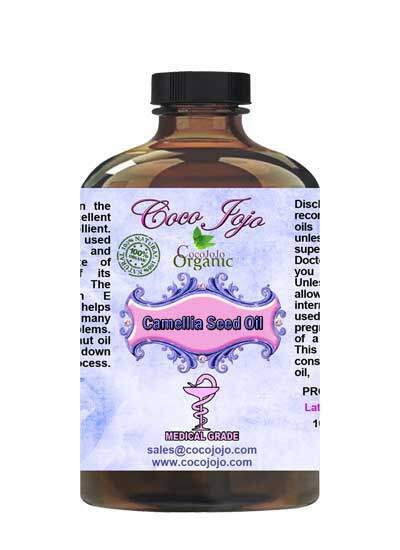 For Hair- Camellia oil, or tea seed oil is not as renowned for hair care as the Camellia japonica oil. That oil is much more powerful for hair care. However, tea seed oil too can be used. One can do a hot oil conditioning using tea seed oil. It feels similar to olive oil. There is a pretty unique way to apply Camellia oil to hair. This method involves dipping a wooden comb in camellia oil for a few hours, and then combing hair with it. This provides the hair with small amounts of camellia oil each time, which conditions them and makes it easy to comb without tangles.